mom does not have much milk and the nursing sessions are more for emotional support than physical. seamlessly transition to full weaning without much trauma and only the occasional correction. wellness of their Cavaliers. 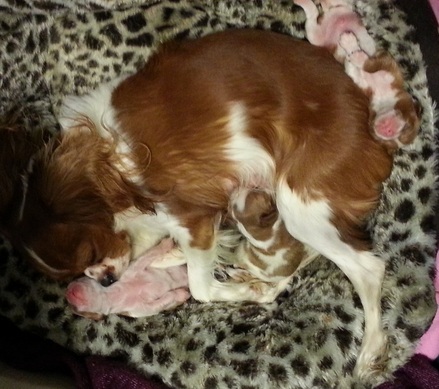 It takes healthy parents to make healthy puppies and quality food is important.